The European College of Veterinary Neurology (ECVN) functions to advance veterinary neurology by authenticating veterinarians as specialists in veterinary neurology and by furthering knowledge relating to the pathogenesis, diagnosis, therapy and the control of diseases affecting the nervous system of animals. Diplomates are recognised as specialists by the European Board of Veterinary Specialisation and the Royal College of Veterinary Surgeons. 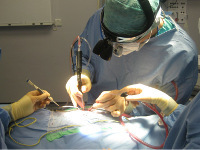 Diplomates have undergone extensive, well-defined training in small and large animal neurology and neurosurgery and have passed an in-depth examination lasting several days. The demanding process of board certification assures quality service to the public and their animals, which are treated by true specialists. The European College of Veterinary Neurology seeks to practise its speciality to the highest ethical standard. This would include promoting the best welfare and health interests of the animals, and respecting the autonomy and wishes of their clients. Our practices will include advanced treatments that aim to promote and restore the health and welfare of the animals concerned, however, cases are reviewed as treatment progresses. On an ongoing basis, therefore, we aim to fully inform and advise clients of the available diagnostic and treatment options, and to obtain informed consent for any procedures that are agreed to be carried out.